In a bid to invest over $500 million in the agricultural sector, Edo State Government yesterday signed a Memorandum of Understanding [MOU] with four companies. The companies are Ekha Bio-Chemical Nigeria Limited, Industrial Development Group, Obax Worldwide and Wilbahi Investment Limited. They are to cultivate over 100 hectares of rice farm, oil palm plantation, cassava and sugar-cane for the production of ethanol as well as establishment of ethanol refinery. The ethanol refinery to be built by Obax Worldwide will be located at Ologbo in Orhionmwon Local Government Area. Signing on behalf of government, Commissioner for Agriculture, Hon Abdul Oroh said the $500m investments were part of the gains of the Agribusiness Summit held in the state last April. Oroh who spoke shortly after signing the MOU said over 10,000 jobs would be created after the companies resume operation. He said the contents of the MOU provided a win-win situation for the state government, communities and investors, adding that ”the benefiting communities ceded the lands to government and not investors. Oroh noted that the state government was treating other 12 applications from other companies including Dangote Group for the purpose of investing in the agricultural sector. He said the state government planned to open up over 300,000 hectares of land within the next three years for cultivation in different areas of agriculture. �We are considering giving additional charge land to existing agro-companies like Okomu and others. Our strategic plan is to open up about 300,000 hectares of land in the state within the next three years for cultivation on different areas of agriculture. We are on the verge of signing a MOU with Dangote Group because we have identified about 50,000 hectares for rice cultivation in Estako Central. �We have signed an MOU with a South African company to grow sugar cane. They want to produce ethanol in Owan East local government. 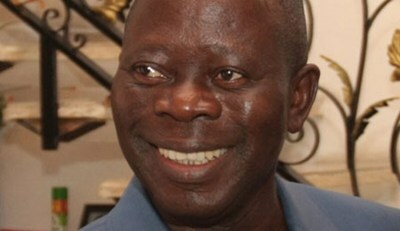 We believe that if some of those new ventures are concluded, Edo State will become one of the richest states in the country and we will contribute over 25% to food export,� he said. The MOU gave a time limit for the investors to develop a substantial part of the land or the investor faces forfeiture on any undeveloped part of the land. �If we discover the company does not have the capacity or has not done what we agreed. We will revoke the unused land. We want an inclusive process based on free and inform consent of the various communities. �One of the things we intend to attach to it is that we want to include out-growers scheme to all these transactions. The company will guarantee a market for the produce. They will also assist the out growers in terms of quality seedlings we are going to do another agreement because we don�t want them having problems with the communities. We are going to sign another agreement to give legal teeth to the MOU,� Oroh said. On his party, Chief Executive Officer of Obax Worldwide, Patrick Obasuyi said they want to invest $250m to build ethanol refinery because Nigeria is the largest producer of cassava, adding that the refinery would begin operation in 2016.